I’ve been getting a lot of questions about the new USB port and downloading designs. 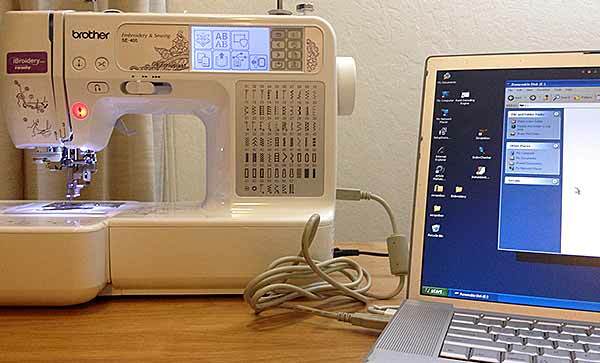 This article will explain step-by-step how to download embroidery designs from your computer into a Brother SE400. 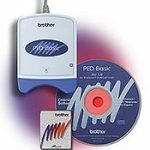 You can connect the Brother SE400 directly to your computer (PC or Mac) with the included USB cable. You can then download embroidery designs saved on your computer into the SE400 for stitching. You can also upgrade the internal software in the SE400 when Brother releases an upgrade. NOTE: The USB port on the SE400 only accepts a USB cable that attaches to your computer. It is not compatible with USB drives, thumb or jump drives, memory sticks, etc. There are many websites where you can purchase embroidery designs and download them directly to your computer. Most sites have free designs you can try. You can also obtain designs on CDs. Designs on CD can either be saved to your computer first or copied directly to the SE400. 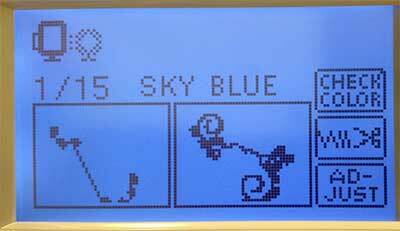 The Brother SE400 can only read embroidery data files in .PES and .DST format. The best format for Brother embroidery machines is .PES because it contains information about the design such as number of stitches, number of colors, thread color names, and allows displaying an image of the design on the LCD panel. Tajima (.dst) formats have some limitations that make them less convienent. Only the first eight characters of the file name are displayed in the LCD control panel. The image of the design cannot be displayed. Because the .dst format does not contain the thread color information, the design is displayed with Brother’s default thread color sequence. You will have to look at the design and pick the color you want for each displayed color. Sometimes embroidery design files that you download from the Internet are “zipped.” You’ll know because the file name ends with “.zip”. On Mactinoshes and Windows XP and later, you can just double-click the file to “un-zip” it. (If this doesn’t work on Windows, you’ll need to install a free utility such as WinZip.) Then you’ll see the .pes files. Although the maximum embroidery size is commonly refered to as a 4×4 inch hoop size, it really doesn’t depend on the hoop. The embroidery unit of the Brother SE400 is physically incapable of embroidering a larger size because that’s the maximum amount the unit will move. The actual maximum size is 3.93 inches (9.98 cm or 99.8mm). The SE400 won’t recognize embroidery files with special characters in the name. If you have a file name with special characters, rename the file before uploading it to the machine. It’s safest to use only letters (upper and lowercase), numbers, “-”) and underscore (“_”) in file names. Plug the square end of the included USB cable into the USB port on the right side of the SE400. 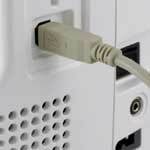 Plug the flat end of the cable into a USB port on your computer. Make sure both the computer and the embroidery machine are turned on. On the SE400 LCD screen, press the USB icon. This will take you to a screen that will give you information about the designs you’re downloading. The first number at the top left of the screen is the total amount of memory you’ve used. The second number is the total amount of memory space. The SE400 can hold up to 12 designs or 476KB of data in its memory. After that you have to delete some old designs if you want to download more designs. Next there is the button (looks like a pocket with an up arrow) for retreiving the pattern. Under the button, there is the number of the current page and the total number of pages. Two designs are displayed on each page. In the photo above, I’ve uploaded three designs. So I’m on page 1 out of 2 pages. At the bottom, there are images of the embroidery designs on the current page. Do not copy .zip files. You must unzip them first. Although the manual says the SE400 is only compatible with PCs, it’ll work just fine with a Macintosh. The SE400 will show up as an external hard drive, named “No Name.” Just drag and drop the embroidery files to this drive. Do not copy .zip files. You must unzip them first. Just double-click it. A weird thing happens on the Macintosh. The Macintosh system puts invisible system files in “No Name” which the SE400 transfers over. So the amount of memory used can be 16 to 28KB when the machine is first connected to the computer, even before you’ve downloaded any designs. These files aren’t embroidery designs so there aren’t any images. Only the amount of memory used increases. This is isn’t a problem unless you’re pushing the memory limits with large embroidery files. Move to the screen that displays the image of the embroidery design you want using the Next Page [<] and Previous Page [>] buttons on the right. Select the design by touching the image. The selected design will be displayed in reverse highlighting. Then, press the Retrieve key (circled in red in the photo above). The embroidery screen appears. From here you can check the colors, adjust the pattern, embroider it and/or save it to the machine’s memory. 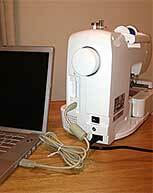 You can either embroider the pattern now or save it in the SE400’s memory to use later. If you want to embroider it now, make any adjustments you like, set the machine up for embroidery, and press the Start button to begin stitching. Unsaved designs are lost when the SE400 is turned off. So if you want to use a design again without copying it from your computer, you must save it to the SE400’s memory. This is a convenient way to save names and designs that you use frequently. Or if you’re starting a project or several projects that involve several designs, you can transfer them all over at once and save them. I do this so I don’t have to keep moving my computer next to the SE400 because I don’t have a large working space. You can save up to 12 designs or 476KB of data. After retrieving the design you want to save by pressing the Retrieve Key and going to the embroidery screen, press the Memory button. “Saving…” appears while the pattern is being saved. From the first menu, press the Retrieve Key. The saved designs are displayed. Go to the design you want using the Previous and Next Keys. Select it by pressing it. You can then delete it or retrieve it to embroider. I get a lot of questions about how to download designs into the Brother SE400 and the manual isn’t very clear. Being able to easily transfer designs from my computer with USB is very important to me because I’m always wanting something different. So I hope this article helps you do it too. Now that you’ve saved your designs, you might want to delete some. 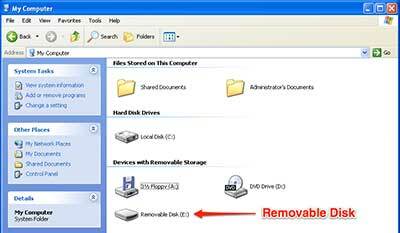 See my article, “How to Remove a Saved Design“. If you don’t have your embroidery machine yet, check out my Brother SE400 review for detailed information. Click here to see today’s price on Amazon.com. I have uploaded my design from my macbook and the machine says it was transferring but the design doesnt show on touch screen. It shows the memory is used but not pic. How do i find it and what am i doing wrong? I am so impressed! I’ve learned more from you during the past twenty minutes than I have over the past four years after I stumbled into machine embroidery. I own the PE 770 with some similarities to the SE400, except mine is an embroidery machine only. I’ve taken several online classes and produce many beautiful items especially for babies. My goal is to sell them on my Facebook page, but I seem to lack the confidence to get my work out there. I hired someone to build my website and was seriously ripped off. No being computer savvy I hesitate to push forward even though this is what I want to do. 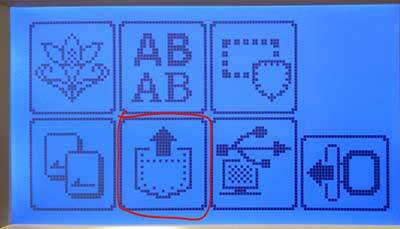 Hello, I have a Janome Skyline S9 are you able to post any instructions for transferring embroidery designs from a laptop to my machine I am having a lot of trouble with this and can’t find anyone near where I live to help me.